« Today a man was banned for life from Disney!!! 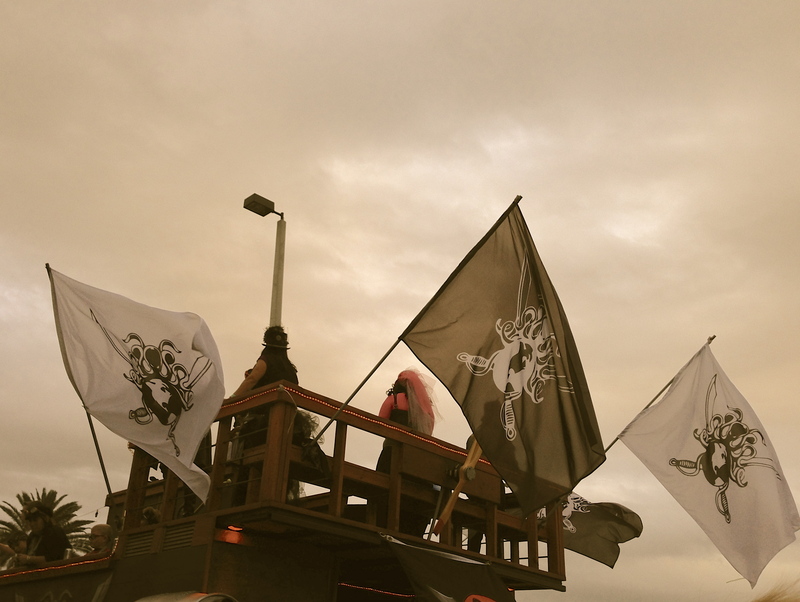 Gasparilla Pirate Festival…what is it? I have been wanting to go to this for years and finally made it there Saturday! We attended the Family parade they do an “Adults” one a week later. 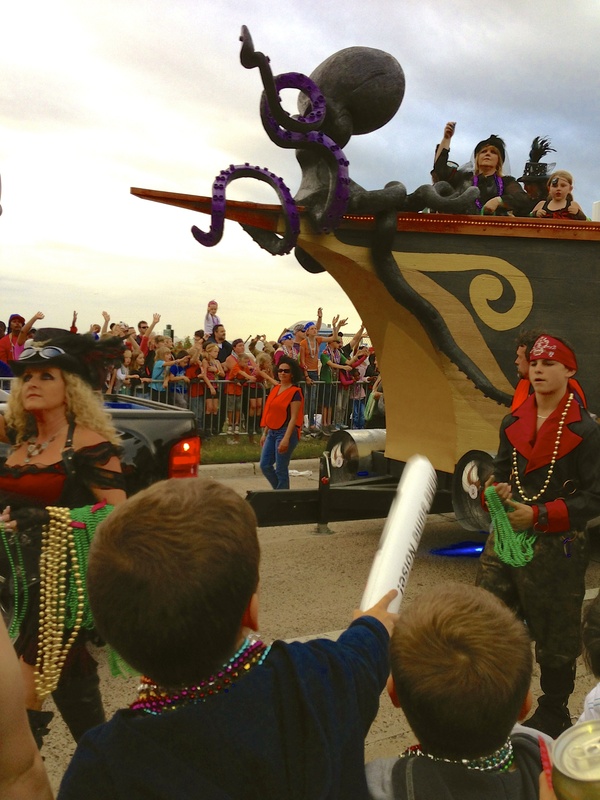 The Gasparilla Pirate Invasion and Parade has been a Tampa tradition for over 100 years. It all started with the legend of a fortune in buried treasure left somewhere along the Florida coast by Jose Gaspar when he died. Although that treasure has never been found…..
the story of the swashbuckler was unearthed and his memory revived in 1904 when Tampa’s social and civic leaders adopted the pirate as patron rogue of their city-wide celebration. Forty original members of the first “Ye Mystic Krewe of Gasparilla” met in secret and planned a surprise mock pirate attack on Tampa. In full regalia — masked and fully-costumed — the first krewe arrived on horseback to “capture the city” during the Festival Parade. Surprisingly, the first invasion was so successful that a city-wide demand lead to making the Mystic Krewe organization permanent. A tradition was born. 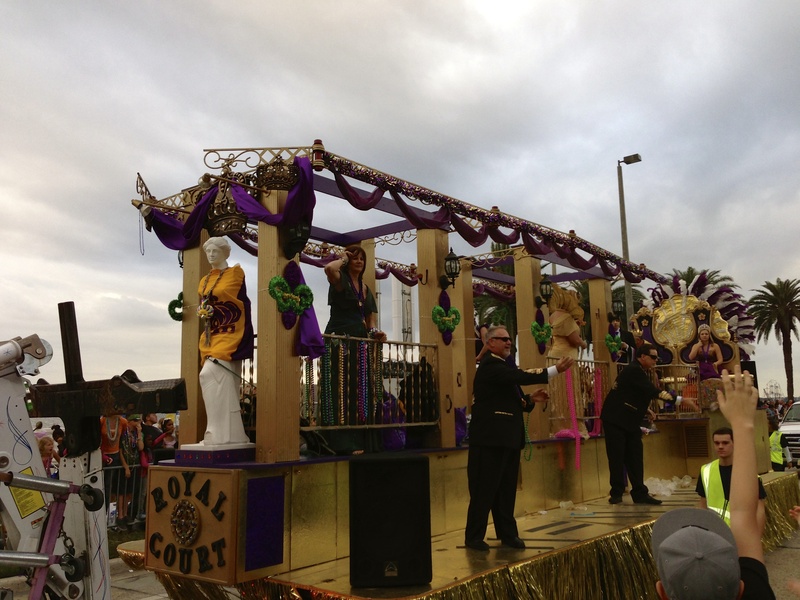 To celebrate their capture of the City of Tampa, the Captain and his Krewe share their wealth – throwing glittering beads, candy and treasures along the 3.8-mile parade route. “Make way, mateys!” shout Tampa’s original buccaneers as they wind their way down historic Bayshore Boulevard and into downtown Tampa – amidst colorful costumes and festive music. 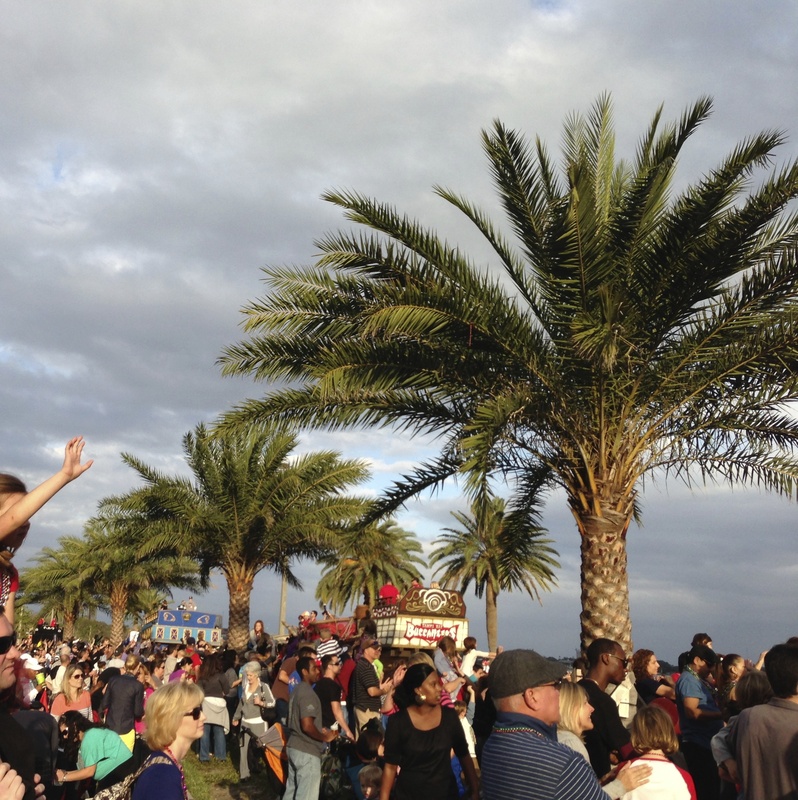 The Gasparilla Parade features over 130 units – including more than 90 floats and 14 marching bands! Vendors are also located up and down Bayshore Boulevard and you can’t miss the finale of fireworks at the end! Today, over 400,000 attend the event, which contributes over $20 million to the local economy! and it is a great time! This entry was posted on January 21, 2013 at 8:37 AM and is filed under EVERYTHING DISNEY, FLORIDA ADVENTURES with tags Gasparilla, Jose Gaspar. You can follow any responses to this entry through the RSS 2.0 feed. You can leave a response, or trackback from your own site.